Outfitted in gleaming armor, this fierce red dragon warrior is ready to ride into battle upon his black steed. 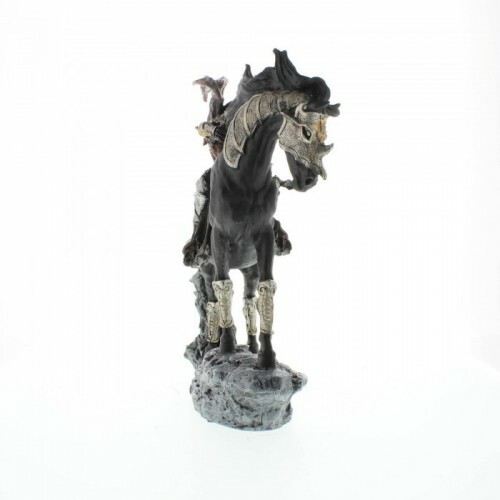 The midnight black horse is also outfitted in glorious armor, with his mane and tail blowing in the medieval wind. 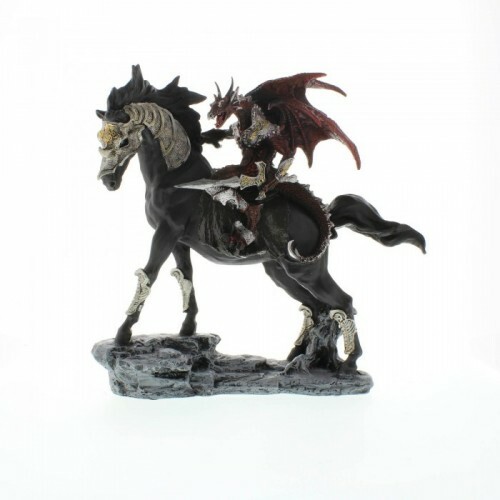 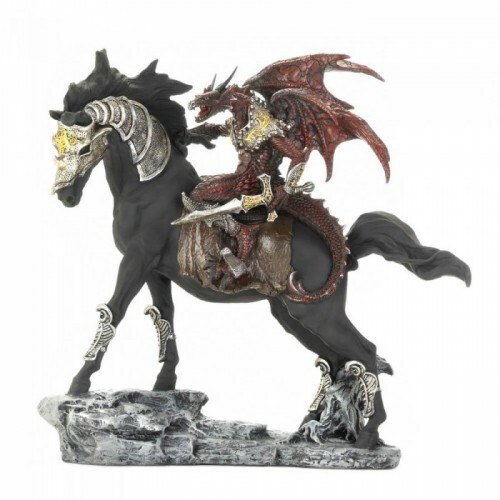 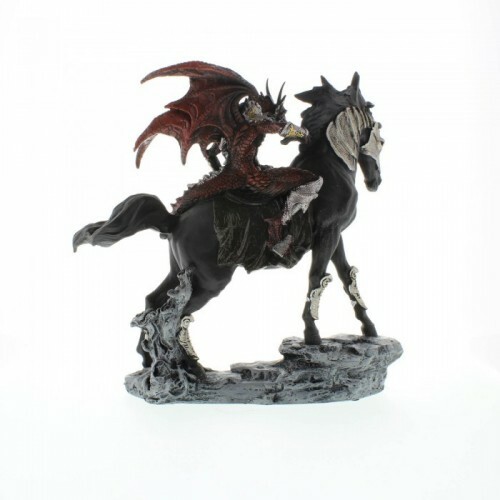 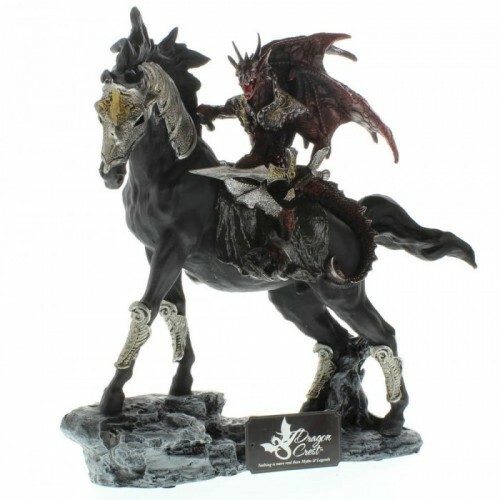 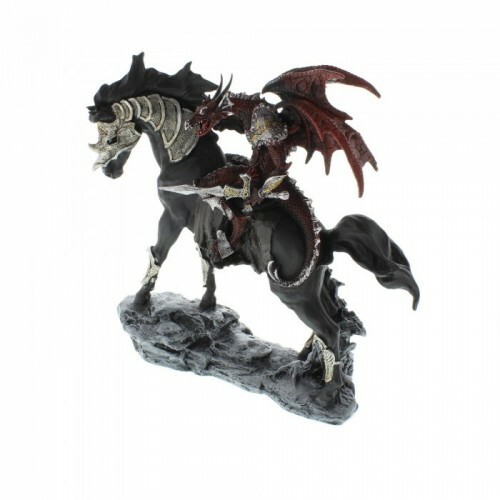 This statue is the perfect gift for the dragon collector in your life. 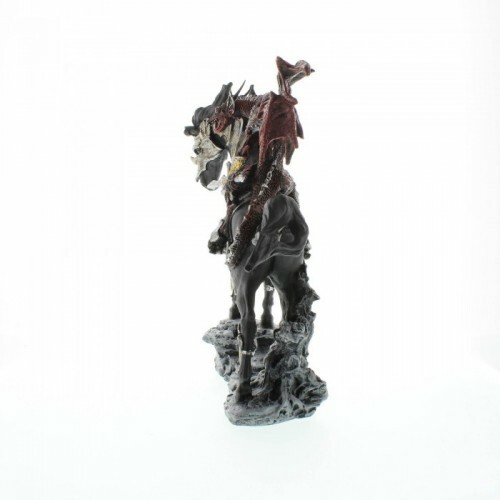 12" x 3.5" x 11.8"